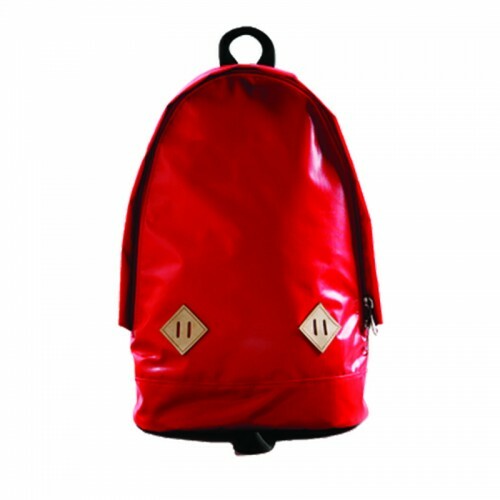 Compassion is our bright red, UPCYCLED, WEATHER-RESISTANT BACKPACK made from pre-loved jeans and high-grade Japanese tarpaulins used in cargo and shipping. The large interior pocket is able to fit a 13” Macbook or standard size folder, while the jean pockets serves as unique smaller compartments. COMPASSION Backpacks are made from 50% re-cycled materials and are made by storm surge survivors. 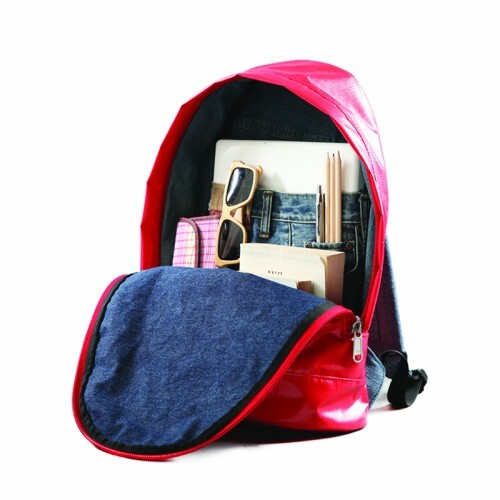 The Upcycled Backpack. Eco friendly. Made in Tacloban. Made by Survivors.